2. A hanging garment bag is perfect to store wrapping paper out of the way until next year! See how simple this is from The Chic Site. 1. Use a hanger to store christmas lights. 2. For an even cheaper storage solution, use pieces of cardboard. 1. 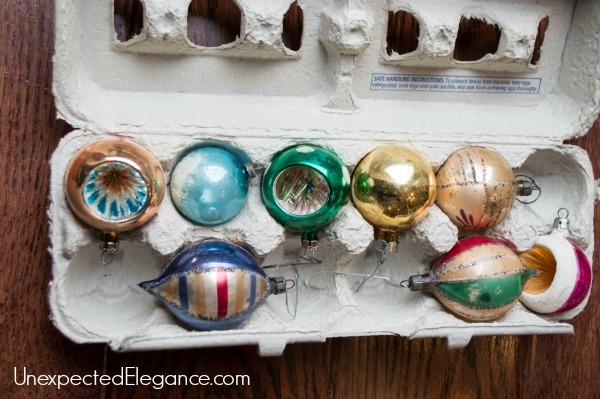 Repurpose egg cartons for the smaller, more delicate ornaments. They work great for my small vintage ornaments that don’t have a box! 2. 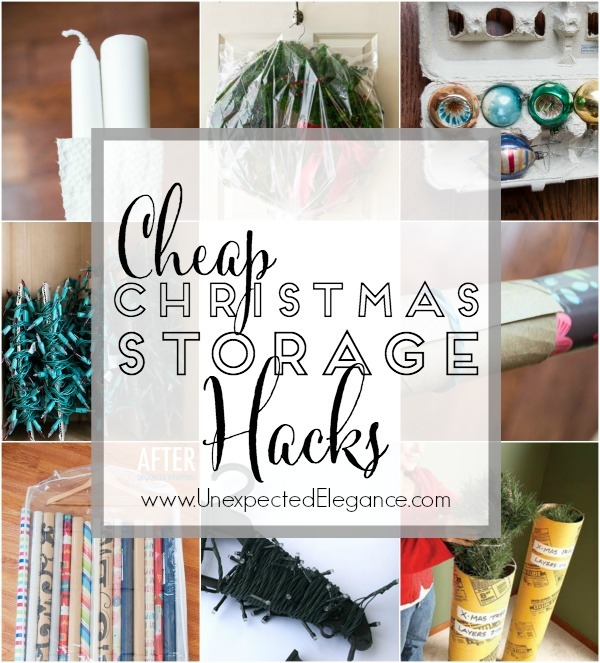 Use plastic cups glued to a piece of cardboard or wood for storing the larger, breakable ornaments. 1. When you disassemble the tree, do it in sections and duct tape each section together, labeling as you go. 2. If you hate the massive amount of space that your tree takes up year round, use two 8-in.- diameter concrete form tubes, wrap each layer of the tree in twine and store half the tree layers in one tube and half in the other. 3. If you have the room, why not just wrap the entire, decorated tree in cellophane?!? 4. 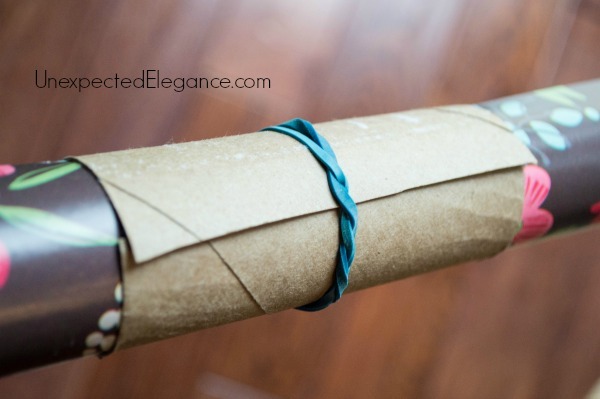 Use a hanger and plastic bag to hang your wreath either in a closet or from a beam in the attic. To get all the details, check out it out HERE. 1. 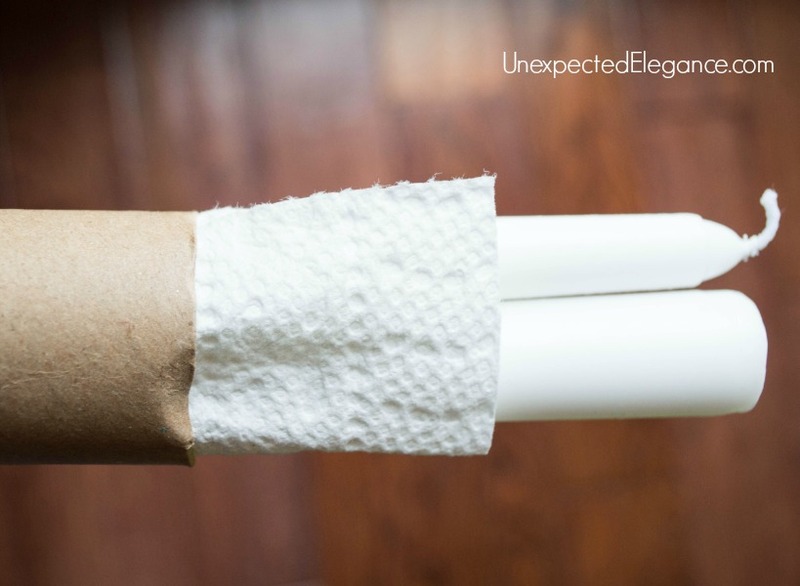 Store tapered candles in paper towel rolls. 2. For other delicate items, use empty (cleaned out) butter tubs or shoeboxes. Do you have any great ideas for saving money of decoration storage? We would all love to know about it, so leave it in the comments below and I will add it to the post.